Not a lot going on here. The last step of the QOV Mystery Quilt was posted Saturday so I can finally share my finish of that top! Don’t you love it! 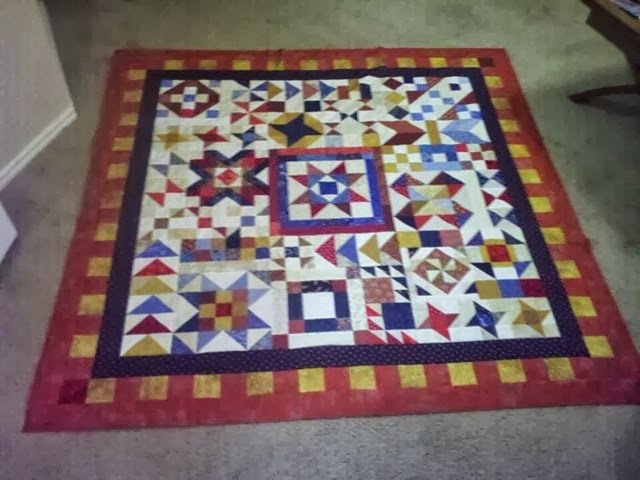 It’s a great size and everything except the borders are from my scrap box (which, by the way, doesn’t appear to have shrunk in the amount of scraps department!). 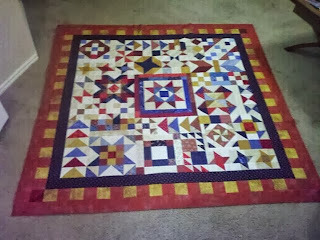 And as for my design wall, all I’ve been working on since Friday night is the borders for my Road to Brenham quilt top. I can almost see the light at the end of this one. And this one has begun a discussion on my Facebook wall about who wants it. Cassidy (my teenager) claimed it even before it was started and my sister-in-law has been watching it’s progress and swears it will look perfect on her bed. LOL…I left it up to them, but, truth be told, Cassidy will probably end up with it. So what are y’all working on?? 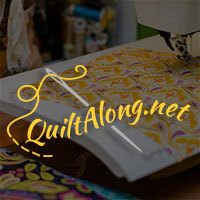 Linking up to Patchwork Times, Esther's Blog, My Quilt Infatuation, and Freshly Pieced. Both quilts exceptional. I love the colors you used in the Road quilt! 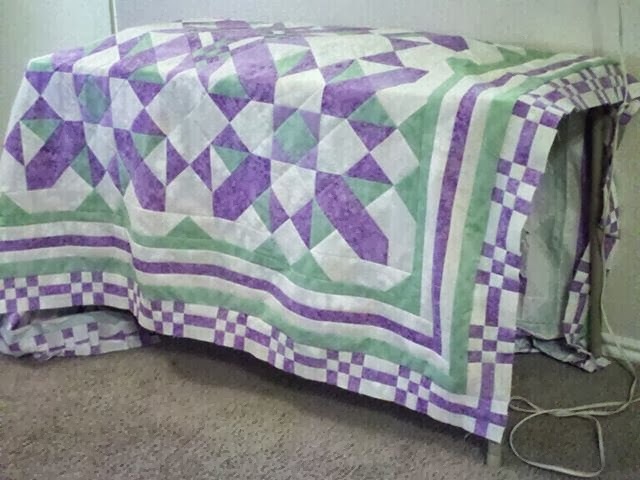 Dontcha just love how everyone volunteers their bed as the perfect place for your quilts to rest? Lovely job on both. love the Road to Brenham! and don't you know?? Scraps reproduce while you're not looking! haha! Don't you love it when family and friends "claim" your quilts! When Chad was at home, it was always a race between Chad and Vince to see what I was working on and who was going to claim it. They are both beautiful! I like your scrappy style!